At Adams Orthodontics, we believe everyone deserves a smile they feel truly proud to show off – and we're committed to helping our patients achieve one through quality, convenient orthodontic care. As a leading orthodontist serving the Valdosta and Thomasville, GA areas, we offer orthodontic treatments ranging from metal braces to Invisalign clear aligners. We're proud to treat patients of all ages at our office, and if you're an adult considering improving your smile, we can help. More and more adults are discovering the magic of orthodontic treatment, and it's little wonder why. While some people may fear that they're "too old" for braces, the truth is that we can move healthy teeth at any age – and achieving a new smile comes with a wide range of advantages. Revitalizing your smile through orthodontic treatment lends a boost of confidence, happiness, and self-esteem that radiates through your personal and professional life, and we can customize your treatment plan to fit your lifestyle perfectly. Adult orthodontic treatment is more convenient than ever, but there are a few important things to understand before straightening your teeth. 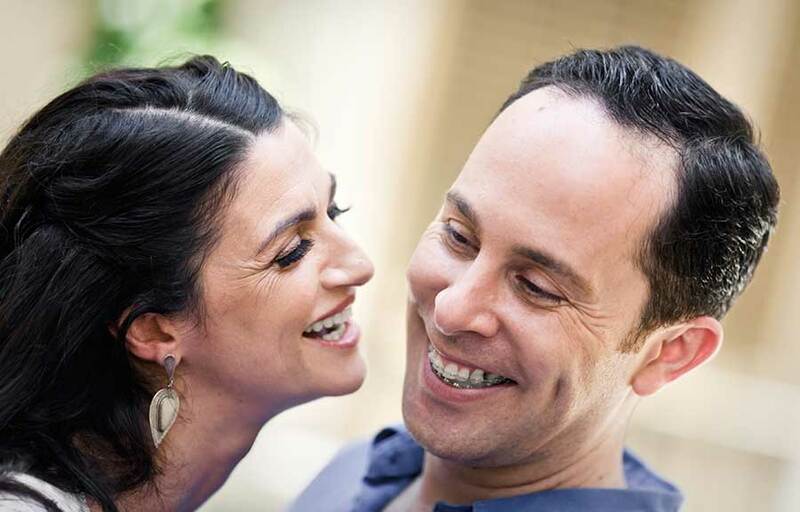 First, we can't achieve changes in jaw and facial structure through adult treatment in the same way we can during early orthodontic treatment – we can only adjust the alignment of the teeth themselves. And second, adults are far more prone to periodontal disease than kids or teenagers, so we'll need to treat any signs of periodontal disease before beginning treatment. But besides these two factors, adult orthodontic treatment is an effective, convenient way to improve your smile and your life! At our office, we proudly offer both metal and clear braces for our adult patients. 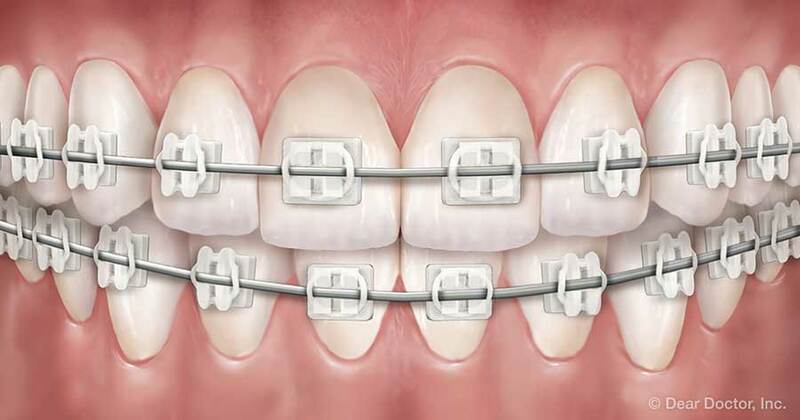 Metal braces are made of stainless steel and offer a durable, reliable, and cost-effective option for straightening your teeth. 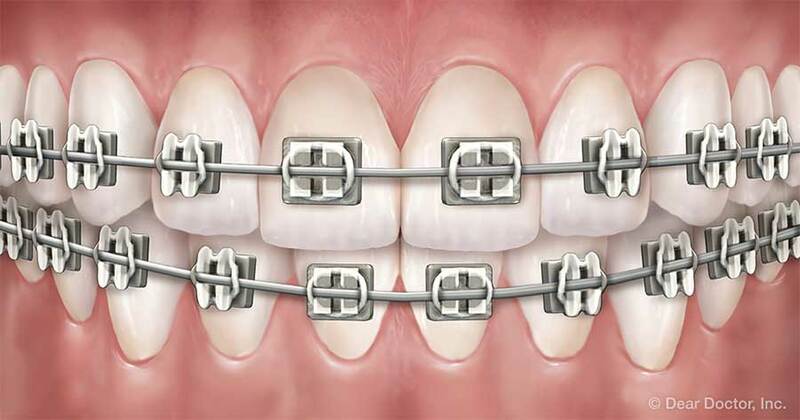 Modern metal braces are thinner, lighter, and more comfortable than braces of the past, making them a convenient option for many patients. 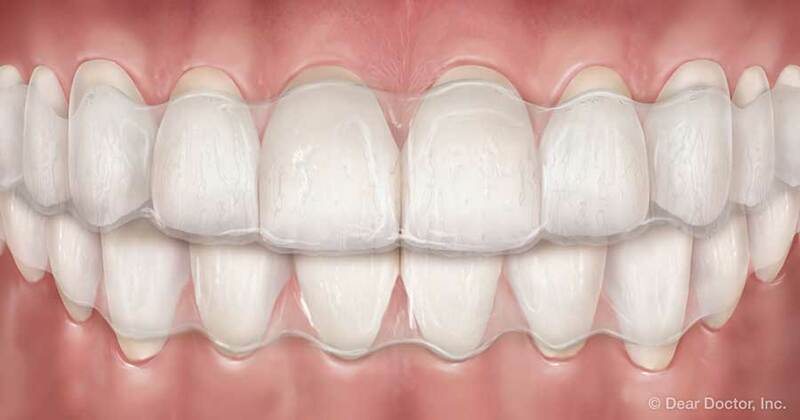 Clear braces work the same way as metal braces, but the brackets are made from a transparent ceramic composite material that blends in with teeth, making them more discrete. These advantages make Invisalign one of our most popular treatments with adult orthodontic patients! After you finish the active phase of treatment, you'll need to wear a retainer for a period to protect your smile. Without a retainer, your teeth will eventually drift back to their old positions, erasing your hard work! We'll provide detailed instructions for wearing and caring for your retainer during your fitting appointment. If you've been thinking about improving your life by revitalizing your smile, there's never been a better time to get started. Orthodontic treatment is more convenient than ever before, and the team at Adams Orthodontics would love to help you achieve a new smile. Request a consultation with us today. We'll help you understand your treatment options, develop a customized treatment plan, and start on the path towards a gorgeous new smile!